Paperback, 8.25 x 10.5 in. 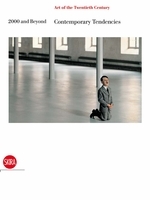 / 162 pgs / 100 color. 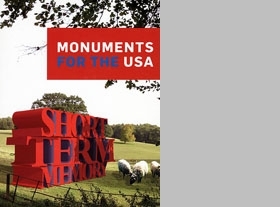 Featuring works created by over 60 international artists who were invited by the CCA Wattis Institute for Contemporary Arts to devise plans for a monument for the United States of America. 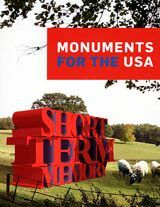 Freed from contextual, budgetary or practical constraints, the proposals reflect each artist's ideas about the type of monument the people of the United States currently need--or deserve. 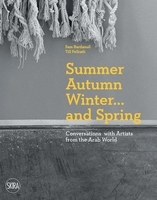 The submitted drawings, diagrams, maquettes, photo collages, written descriptions, or works in other media are all reproduced, along with texts by the artists, in this fully illustrated catalogue. 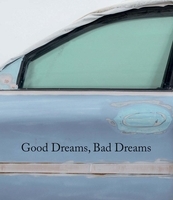 Among the featured artists are Paul Chan, Sam Durant, Hans Haacke, Thomas Hirschhorn, Ilya & Emilia Kabakov, Barbara Kruger, Aleksandra Mir, Paul Noble, Jennifer Pastor, Santiago Sierra, Gary Simmons, Do-Ho Suh, Olav Westphalen and others. 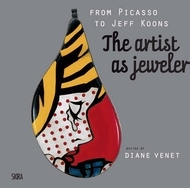 FORMAT: Paperback, 8.25 x 10.5 in. / 162 pgs / 100 color. 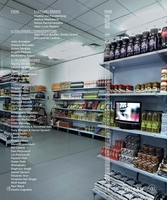 Published by CCA Wattis Institute for Contemporary Arts.